Besides the unmatchable, smooth coffee itself, the best thing about making a Nespresso coffee is the way it looks as its brewing into a clear coffee mug. That’s why there are so many clear coffee mugs here at LungoCups — to help you enjoy the good things in life! 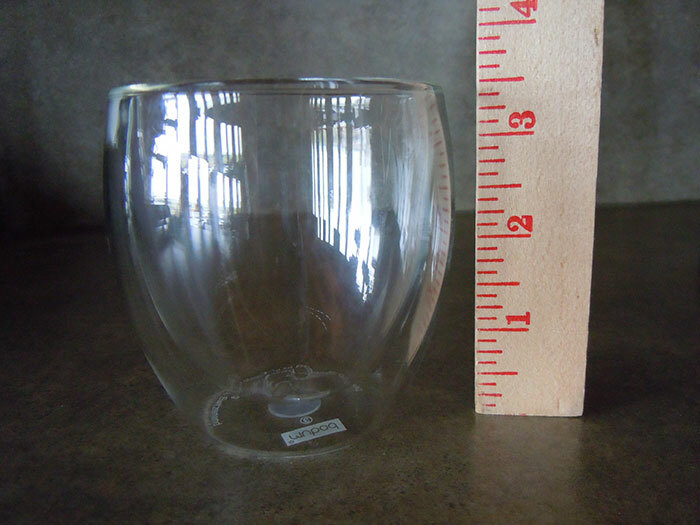 This 8-ounce Tealyra cup is another option. Its shape is an attractive squat, only 2.83 inches tall, so it will fit nicely under Nespresso spouts. These cups are made of heat-resistant Borosilicate glass, which, according to Wikipedia has very low coefficients of thermal expansion. Right. We are just coffee lovers, so, what’s that mean to us? It means they will keep your beverage either hot or cold, and the glass is stronger than other common glass. A plus is that these are dishwasher safe, and customers on Amazon have verified this. Another plus: there’s a version that comes with matching saucers. There’s a lot to like about this Scandinavian-design lungo cup. • First, it’s a thermo cup, so it’ll keep your coffee hotter longer. Based on reviews at various sites, most users say the outside stays cool enough to hold while the inside stays hot. That’s the idea, and it seems to work. • It’s Porcelain, so it feels nice to hold. • It’s made by Menu, a Danish design company that’s come to be known for it’s useful and beautiful designs. The designers, Jonas Bjerre-Poulsen and Kasper Rønn, strive to combine function and beauty. You can see a collection of the Norm line of designs at this page of items from Menu. Set of two. Available from Amazon.com. 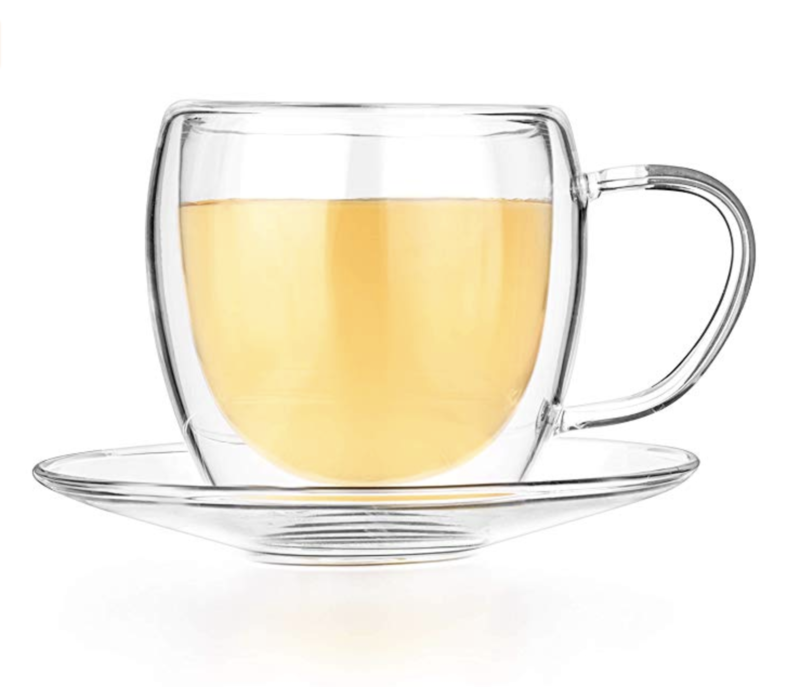 This cup is really similar to the Bodum double-walled glass coffee cup — but this is made by Teaology. 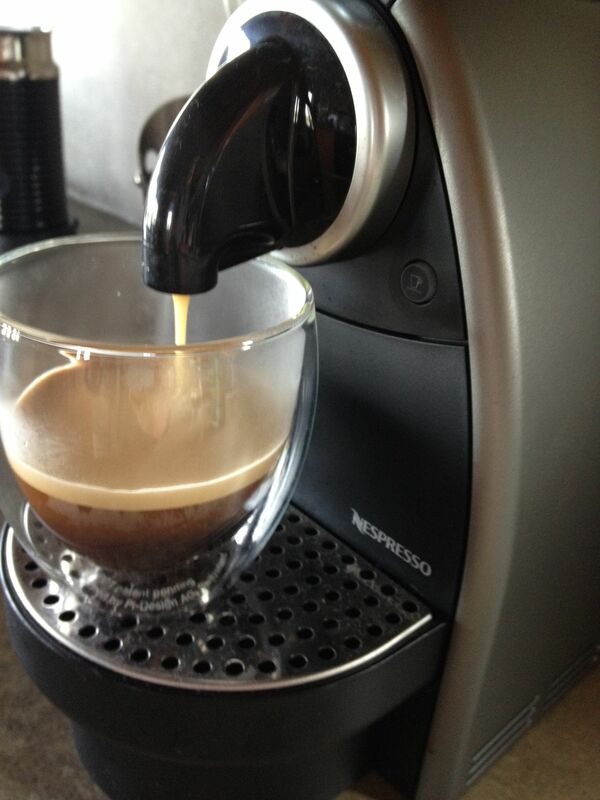 I don’t know much about this cup, but some Nespresso lovers have used it, but not yet reviewed it. 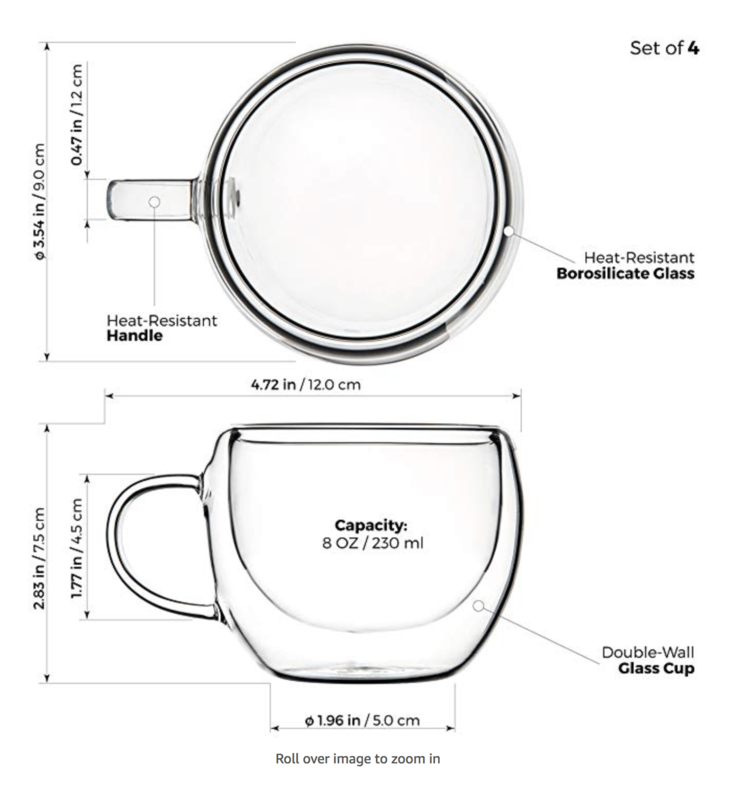 It is 3 inches tall, just like the Bodum, so it will fit under the Nespresso Essenza spout — no hands required! 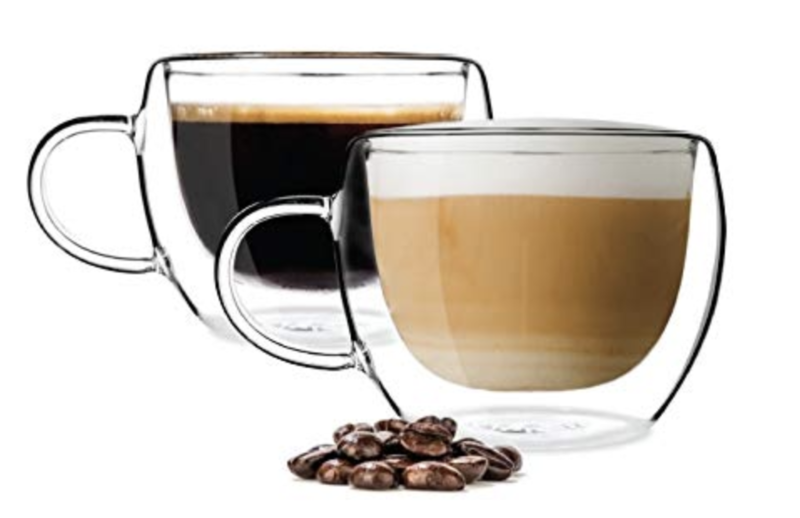 These double-walled, glass cups are really beautiful for showing off the rich Nespresso coffee — and you’ll love watching the coffee being dispensed into this cup– what a show! This cup holds 4 ounces, so it’s a good lungo size, especially if you tend to use Nespresso’s factory setting, which is 3.75 ounces. Set of 2 — order from Amazon.com.